A fully furnished and air conditioned 3 bedrooms/2 bathrooms apartment located in Miraflores, Riviera del sol in Mijas Costa South Spain. After frequent holiday travels to South Spain , I got to like and fall for the warm climate , relaxed atmosphere of Andelusia Costa Del Sol region. The sunny weather and relaxed atmosphere in cafes' along the Mediterean sea beaches and reached the climax of what any busy person wanted to chill out and recharge batteries. This apartment was built and first acquired in 2003 .It is located in a modern urbanisation purposely constructed complex in Lamos del Riviera. It is a ground corner apartment that has a spacious terrace over looking a swimming pool , and golf course . There are varieties of restuarants within ten minutes of walking distance comprising English bars, Thai, Chinese , Indian, English ,Italian and Brazilian foods . Shabby and in need of an overhaul. I have stayed in the area for seven years now and it is a lovely location and ideal for golf - which is usually my purpose of travel. However the accommodation that I availed off this year was average. The appartment was in need of a good makeover. It def needed painted. It was not very clean and the tv had no English Channel. Despite having a sky dish. All in all it served a purpose but I wouldn't be renting this property again. There are two TV channel systems operated in the apartment . ONE system through SKY stellate channels where there variety English, French and Arabic language channels while on TV channel you can access Spainish language channels . There is TV operating guide in the apartment which shows how to operate the SKY and TV channels. A accommodation is self catering basis and it requires visitors during thier stay to take care of the property and rooms including tidying up and washing cooking utensils inorder to fully enjoy the cavation as if you are in your own home. Cleaning and washing rooms including kitchen is carried out before and after you left the apartment.Any broken and defective items should have been reported to the apartment manager. El apartamento esta muy descuidado, Se nota que no hay nadie que se encargue de limpiarlo o de comprobar que todo funcione. Habían muchas cosas rotas (tostadora, griferia de la ducha, cisterna del wc, cerraduras...) Y a parte de las sabanas y toallas que estaban limpias, lo demas, una pena, todo muy muy descuidado y muy sucio. Un alojamiento es de autoservicio y, durante su estadía, requiere que los visitantes se ocupen de la propiedad y las habitaciones, incluso de poner en orden y lavar los utensilios de cocina para disfrutar plenamente de la cavidad como si estuviera en su propia casa. La limpieza y el lavado de las habitaciones, incluida la cocina, se realizan antes y después de que usted abandonó el apartamento. Todos los artículos rotos y defectuosos se deben haber informado al gerente del apartamento. The property is located in Miraflores, Riveira Del Sol near a golf course and Club house , wide selection of restaruants, bars and supermarkets. DIRECTION :From Malaga international airport take Cadez/ Marbella Motorway N340 or A7 drive west passing Bellamedina and Fingiurola on the left sea front and look for Miraflores sign on a big board on your right. Immediately turn right into Riviera through Avda del Golf road . 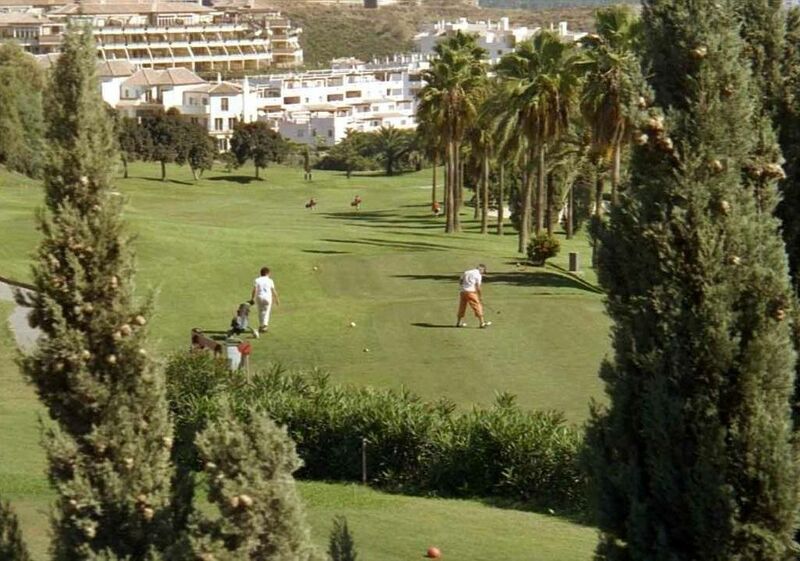 At the supermarket/ Restaurants complex , turn into c/ Geranio road then at a small round to C/ Manuel Pinero road. The Orion building 1A apartment can found in road C/ Sergio Garcia facing the community swimming pool and tennis court. Above rates are applicable for short-stay up to 4 weeks. Long-term holidaymakers are welcome and should indicate their intentions at the time of booking to get special rates. Changing-over days are Thursdays and Saturdays. Christmas/New Year rates start from €350/w If booking is made less than 2 months full rental fee is required and only 50% of the total rental would be refunded if you cancel.